Understanding and recognizing personal preferences will help both the person that will be coached and the coach to develop a successful coaching relationship. It enables the client to experience a positive and rewarding outcome when exploring problems and opportunities as well as transforming intentions into actions. Having nearly completed my coaching education, I am lead to believe that in order to succeed as a coach we need a broad range of capabilities that only few of us really master. At times they even are in conflict with each other; for instance being tough is not necessarily compatible with empathy ore understanding. 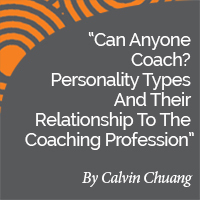 This article reflects my journey to find out what a really good coach is, and I realized that personality or personal preferences are likely the driving factors. Being used to underpin claims with empirical data, I found that very little research has been done on the topic. A notable exception is the university of Heidelberg in Germany, where the department for work and organizational psychology is conducting research to identify influencing and success criteria to contribute to professionalizing coaching in theory and practice. 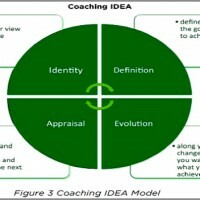 Interestingly enough, coaching is defined in their context as a form of consulting, whereas the International Coaching Federation (ICF) is clearly distinguishing between the two. Nevertheless, I did not find how the quality of a coach could be consistently measured. There is very little literature on how to define a successful coach or if and when coaching is effective and to which extent. Discussing this with clients, buyers (e.g. a company engaging with a coach to offer the service to their employees) and peers I found more definitions than individuals sharing them with me. I agree though with the university above that the topic is important if coaching, as a profession, will continue striving for many years to come. The following is an attempt to define, based on these conversations, the attributes of a great coach. Committed: Good coaches are committed to their clients. They are, even if it may not appear to be so, structured and organized. They pay a lot of attention to their client, memorize what is important in a conversation copiously or take detailed notes (of course disposing of them in an appropriate manner), and remember details that enable them to establish a personalized rapport. They do not lose goals, timelines and agreements out of sight, neither during a session nor when picking up the conversation in a follow-up, and they grasp very quickly how their client feels on the day, regardless of whether they meet in person or by electronic means. 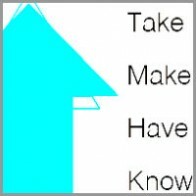 Consistent: Good coaches follow a standard approach so the person who will be coached knows what to expect methodologically. This will enable them to focus on what they need to achieve rather than having to cope with an erratic conversation. However, it does not mean, that tapping into a different journey is not an option, as long as the focus is not moving from the subject matter. Flexible: Clients expect that a coach will mould their methodology to meet their personality and most importantly their needs. It needs to happen in a consistent and predictable manner though, and challenges should be formulated regarding contents rather than delivery. Clients also expect from a coach that they will adapt their personal style (e.g. humoristic statement may be appropriate for one customer but be offensive to an other) so they feel comfortable. Open minded: Clients expect a coach to refrain from being judgmental or at least not to convey judgmental thoughts or behaviour. A coach needs to be tolerant, patient, objective and fair. Clients want them to forego their own convictions but at the same time live up to their values, which might be challenging as well. Honest: Good coaches are honest and understand how to draw solutions out of a client that will be true to them. They are objective and use a coaching approach that is as less arbitrary as possible. Outcomes must reflect the personal perspective of a client and enable them to grow. Firm: Good coaches are firm; they challenge the client, thus supporting them to attain their goals as and within the timeframe set forth. However, they also must be realistic and able to apply sound judgment when the journey takes a different turn than expected. In such case a client expect the coach to support them with redefining goals or another approach to attain them. Skilled: Good coaches know their craft and they have a solid approach to providing services. They use methodologies and do coach in a context related way. They are aware of up to date methodologies that are applied in the market, master them and are able to either adapt them to a client’s needs, create a hybrid approach or define their own methodology. Caring: Good coaches care about people, have a genuine interest in what others share with them (or are very professional about portraying such interest) and master to balance the fine line between empathy and feeling sorry. Clients do not want to feel pitied, they want to be understood. Living up to their values: Good coaches have strong values and live up to them. Their values are part of their identity and a reason for which a client choses them or may want to discontinue the relationship. Self-conscientious: Good coaches are analytical and know themselves very well. They draw from their strengths and have learned to navigate keeping their weaknesses at bay. Many are on a continuous journey of self-improvement and seek regularly the services of a coach in order to experience an other approach and to keep the client’s perspective in mind. Some of the observations and experiences I have shared are not necessarily in line with what I have been taught or do reflect the ICF principles poorly. However, I came to understand and accept, that personality or what makes a coach plays as much a role in a relationship as the personal preferences of a client with all their facets. Both the coach and the person or group that are being coached are influenced by individual preferences. 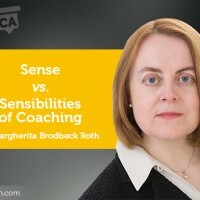 Personality, methodology and techniques, or simply the mood of the day can be determining factors as to why the outcome of a coaching encounter will be deemed to be a success, perceived with indifference or worst of all, be indelibly imprinted into memory as something not to be repeated. Coaching is about people, and no matter how professionally we all will approach such relationship, personality will matter. As coaches we expect the person being coached to want to explore problems and opportunities, be held accountable and to keep long-term goals in view. 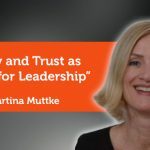 Quite often, this is not all a client is looking for; they are asking for advice and sharing experiences, which are not part of a typical coaching relationship. Depending on their personality, they will be insisting more or less to obtain such service, which brings our standing and personality as a coach into play. As coaches, if we are following the principles of coaching as set forth by ICF, we will understand and have explained to our client what sets coaching apart from therapy, consulting, mentoring, training and sports coaching. It will be easy though to fall into the trap of blurring boundaries without us declaring that we step out of our role as a coach. This is especially true if we struggle to determine the approach to our relationship, to understand and respect our unique personalities and requirements to attain a fruitful outcome, and to adapt our approach to the specific relationship we entertain. For the coach, certain approaches, methodologies or techniques are coming more naturally. Our expectations from the person we are coaching may differ; for instance we may expect our client to be able to talk a problem through at the moment and move on to identify opportunities, without spending a lot of time on reflection or soul-searching. On the other hand we may put too much value into self-examination and contemplation rather than talking a subject through. 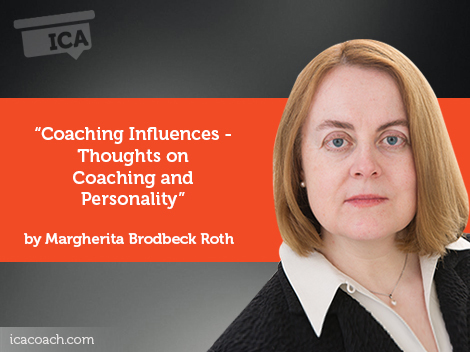 As coaches we need to recognize that our personality is a determining factor on how we are working with our clients; this will help us to be more thorough at identifying their individual requirements, to shape our approach and mould our style to meet their, rather than our needs. This entails the mastery of a range of methodologies, some of which may be of our own creation, and the agility to adapt to many situations. Such skills and experience will help our client to understand their own preferences and to develop their individual approach to facing challenges and crafting opportunities. Personality does matter. As long as we coaches are aware of our preferences and their pitfalls, as long as we carefully try to understand our clients and the differences between us, a successful relationship should be possible in most cases. However, we also need to accept that sometimes it will not work.